We would like to bring to your attention our neighbours at the BAUS congress in Manchester this year! 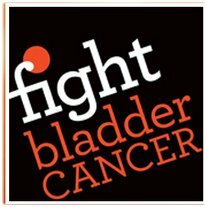 "Have you, or someone you know, been diagnosed with bladder cancer? Then this is the place for you. As the only bladder cancer charity in the UK founded and run by bladder cancer survivors and their families, we know EXACTLY what you are going through. We are here to demystify the medical jargon, give you the facts and figures, share our tips and tell our stories. Our panel of medical advisors help to ensure that you can access the best and most up to date information".